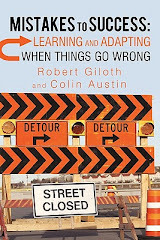 Bob Giloth's Blog: Rearguard Wisdom? "This book is an attack on current city planning and rebuilding." Would the books's first line be the same if Jane wrote it today. Not much urban renewal or highway building is going on -- public housing redevelopment (Hope Vl), transit-oriented development, the expansion of universities and other anchors, some big infrastructure now and again, and, of course, gentrification. Take public housing redevelopment: Jane Jacobs is probably referenced as a part of the answer for the new mixed-income communities being built to replace many of these planning disasters. "But for all its harbingery, Death and Life is essentially silent on three entangled issues that have proven central to American cities over the past fifty years: race, poverty, and education." Christopher Klemek,"Dead or Alive at Fifty? Reading Jane Jacobs on Her Golden Anniversary." Dissent, Spring 2011. Klemek is quick to add that she fought racism and poverty in New York and Toronto. It's just that her market-based urbanism, community libertarianism, and distrust of government interventions doesn't leave much room for big-time interventions to solve these problems. And we've seen the results of that. He adds that maybe Jane has little to say to an entrenched suburban nation. "Should the billions of new urbanites need a user's manual for how our species can get along sustainably in this planet's burgeoning cities, I can think of now better recommendation than this old New Yorker's rearguard polemic."